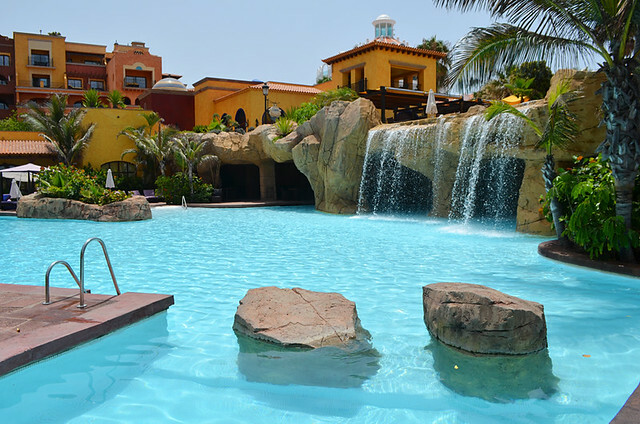 I’m fussy when it comes to swimming pools. I look down on them as being a poor version of swimming in the sea. Their calm crystal clear waters posing no real interest to anyone who likes the feel of the ocean with its waves slapping at your face and forceful currents tugging you this way and that. 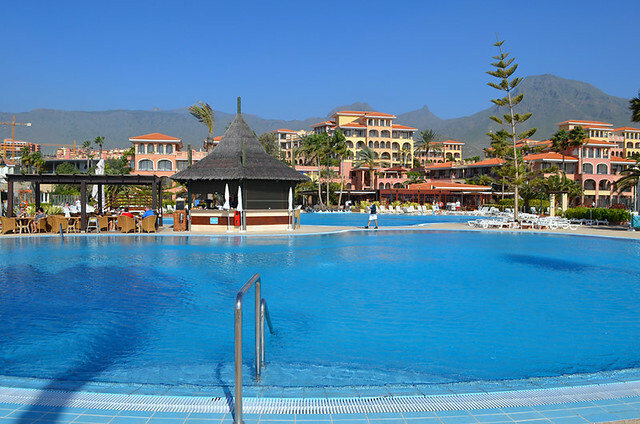 I especially don”t like those dull rectangular affairs, and when surrounded by a wall of jammed-in sun loungers it’s my idea of holiday hell. On the other hand, an attractive, well designed swimming pool with interesting curves, lots of space (both to swim and in which to bask in the sun afterwards) and attractively landscaped surroundings is something different. I enjoy swimming in the Lago Martiánez in Puerto de la Cruz because it has exactly these qualities. But you don’t have to go to a swimming pool complex to experience a satisfying mix of pleasing designs and loads of personal space. 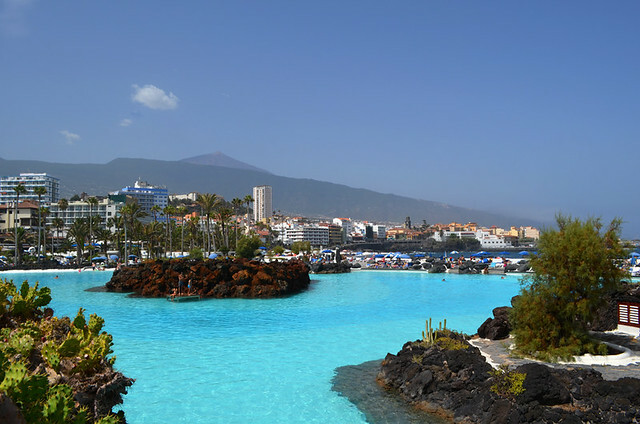 There are plenty of hotel swimming pools on Tenerife where architects have been allowed to let their imaginations off the leash. These are my ten personal favourites. This one is pure Hollywood – a restaurant juts out over one side of the pool and a grand staircase sweeps down right to poolside. The backdrop of pastel coloured, mock Canarian spires, towers and balconies is Tenerife as done by Disney and wonderfully over the top. You feel as though you should dress in a ballgown and tux to head to the pool here. 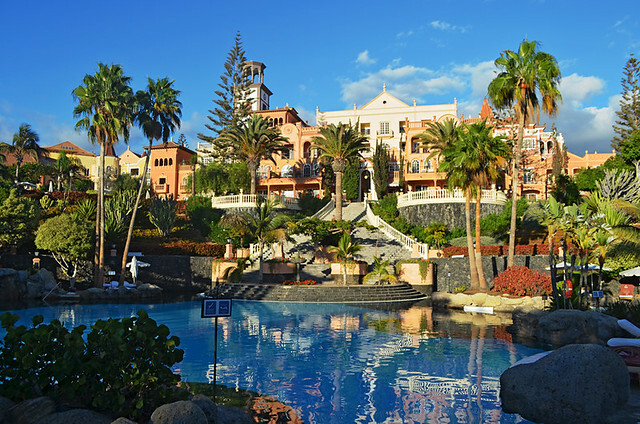 Not the most imaginative pools of the bunch, but being surrounded by the most extensively lush sub-tropical gardens of any hotel on Tenerife elevates them to a different league. 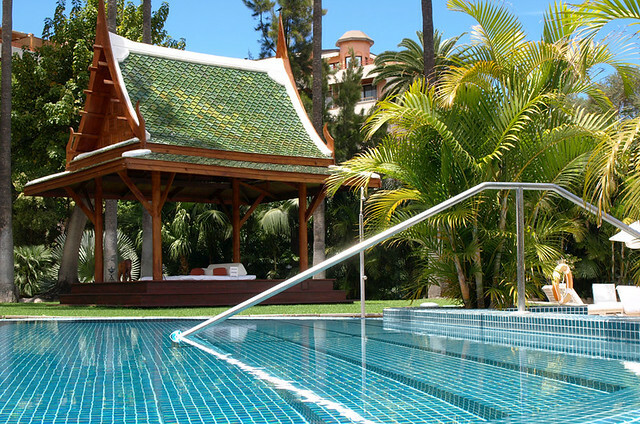 The Spa Garden pool is particularly exotic, feeling more Thailand than Tenerife. It’s rock ‘n’ roll baby. The main pool beside the sea has ‘rock star sunbathing zone’ written all over it; from its lift access to the swim in bar and DJ booth in the centre. This is where the hotel’s live music parties are held. Apart from the food, which is mediocre at best, I really like the Sandos San Blas. 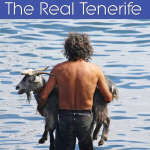 It has many unique qualities, there’s not another hotel on Tenerife quite like it. The overall design is especially interesting, falling in steps to the sea with the swimming pool following suit until it ends at a mini infinity pool. The layered design means there’s plenty of space to enjoy the boutique loungers dotted around the place without feeling crowded out. 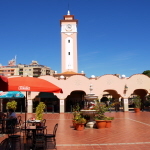 The name of the town where it’s located, Buenavista del Norte, tells you all you need to know about the nature of the countryside here. 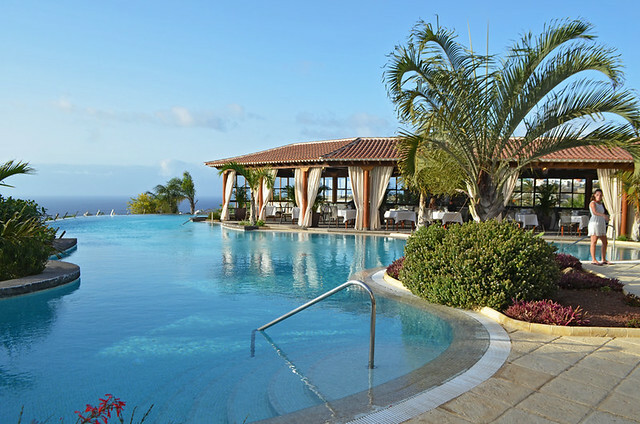 As well as buenas vistas you get a classy, infinity style pool bordered by an elegant open restaurant. All in all, appropriately suitable for a count. I’m a sucker for a hotel swimming pool with a swim in cave fronted by a waterfall. The pool at the Hotel Villa Cortes not only has that, it also boasts a Mayan pyramid with a Catholic church on top of it. Beat that for kitsch. 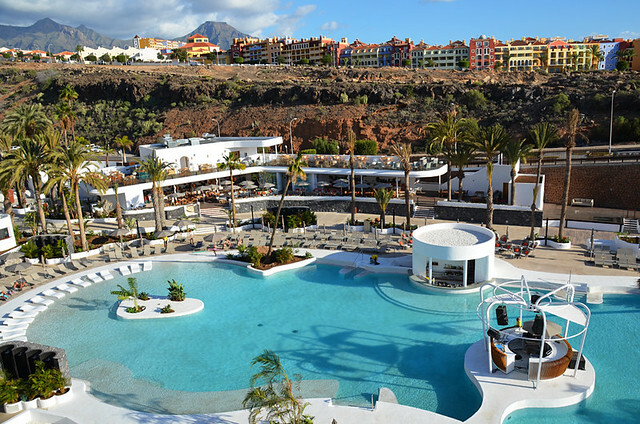 The Anthelia is a quietly stylish hotel right on the coast in Costa Adeje. The huge pools reflect that same quiet style, There’s nothing uniquely stand out about it, the pool just looks great. looking back it’s hard to tell it’s engulfed by a sprawling resort, and looking forward… well, there’s just the sea. 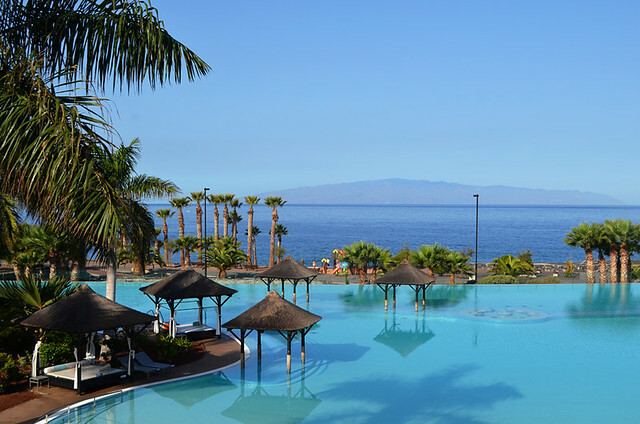 Possibly the most impressive and beautiful looking hotel pool on Tenerife (to date) – a lagoon-sized infinity pool surrounded by palms and Balinese beds with views of La Gomera. When we stayed there a fashion shoot was taking place beside the pool; it’s perfect for such a role. This is the sort of hotel pool that Condé Nast Traveller loves to feature in its glossy pages. Sometimes it’s all about location, location, location. 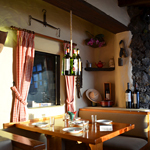 Costa Adeje may boast nearly all the best luxury hotels but there’s one thing none of them can replicate (no matter the grand claims about Teide being a backdrop at least one has on its website) – the scenery of the Orotava Valley. 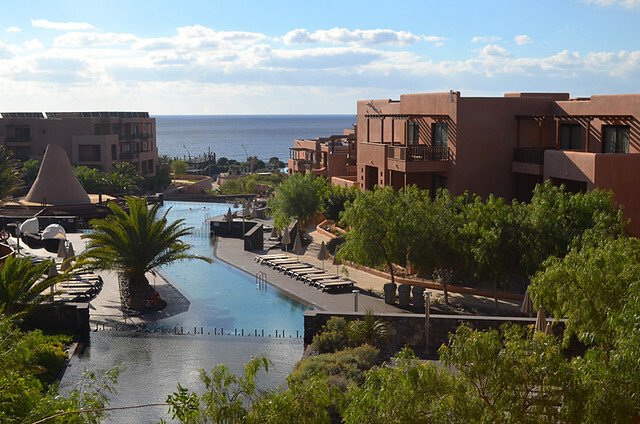 Las Aguas sits above Puerto de la Cruz on a volcanic cone with its cool pools having clear views along the coast and of Mount Teide, the island’s crowning jewel. 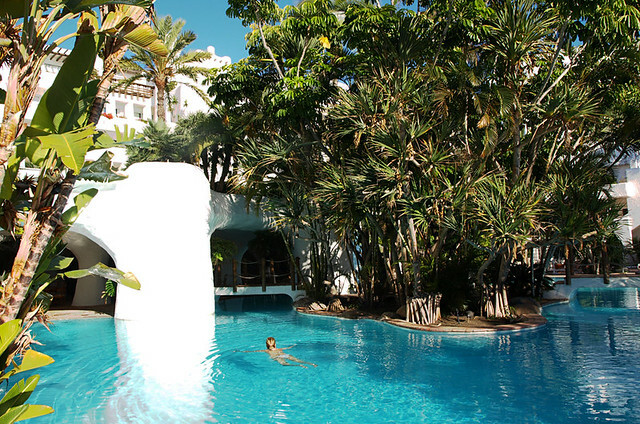 Finally, with its lush palms looming overhead, Moorish architecture and swim through caves, the lovely looking pool at the Jardín Tropical is a perfect example you don’t have to be a 5 star hotel to have a swimming pool which oozes imaginative design features. Another really useful post, thank you Jack. One thing I wonder having tried Lago Martiánez in December … brrrrrrr! … is where the best heated pools are. At Christmas all the pools I’ve dipped my toe into in Puerto dl Cruz have been arctic. 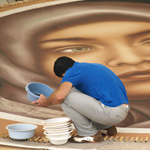 Usually the best bet is the more upmarket and also the newer hotels. 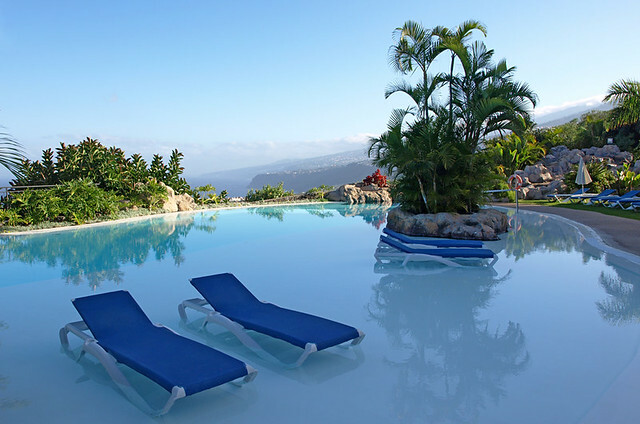 The Hotel Botanico in Puerto has heated pools.